Eat more fish of the safe variety is the new advice for pregnant women to support fetal growth & development. 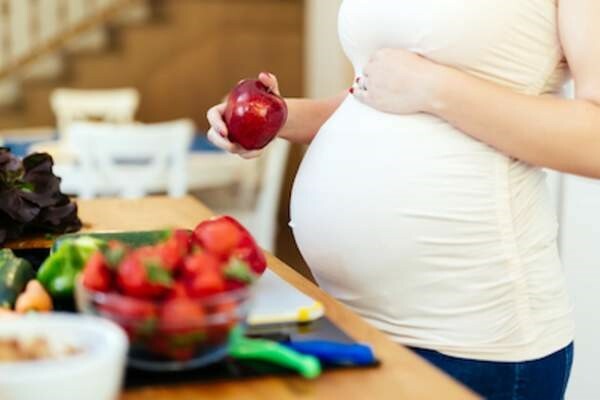 For many years women were told to limit or avoid eating fish during pregnancy, but the FDA now advises pregnant women to eat at least 8oz - 12oz (2-3 servings) per week. Healthy fish choices that are lower in mercury include: shrimp, pollock, salmon, canned light tuna, tilapia, catfish, cod. Fish to avoid that are associated with high mercury levels: tilefish from Gulf of Mexico, shark, swordfish, king mackeral, and limit consumption of white (albacore) tuna to 6oz a week. "Eat what you enjoy, just eat in moderation. Too much of anything (even if it's a good thing) can become a bad." DO NOT EAT: shark, swordfish, king mackerel, tilefish. They contain high levels of mercury. Eat up to 12 ounces (2 average meals) a week of a variety of fish and shellfish that are lower in mercury. These include: shrimp, canned light tuna, salmon, pollock, and catfish. Albacore ("white") tuna has more mercury than canned light tuna. Therefore you should eat up to 6 ounces (1 average meal) of albacore tuna per week. CHECK local advisories about the safety of fish caught by local fishermen in your local lakes, rivers, and coastal areas. If no advice is available, eat up to 6 ounces (1 average meal) per weak of fish you catch from local waters. DO NOT consume any other fish during that week. DO NOT eat hot dogs, luncheon meats, bologna and other deli meats unless they are reheated until steaming hot. DO NOT eat refrigerated pate, meat spreads from a meat counter, or smoked seafood found in the refrigerated section of the store. Foods that don't need refrigeration, such as canned tuna and canned salmon are okay to eat. Refrigerate after opening. DO NOT eat salads made in the store such as ham salad, chicken salad, egg salad, tuna salad, or seafood salad. DO NOT drink raw (unpasteurized) milk and do not eat foods that have unpasteurized milk in them. DO NOT eat soft cheese such as Feta, queso blanco, queso fresco, Brie, Camembert cheeses, blue-veined cheeses, and Panela unless it is labbeled as made with pasteurized milk. Make sure that the label says, "MADE WITH PASTEURIZED MILK."